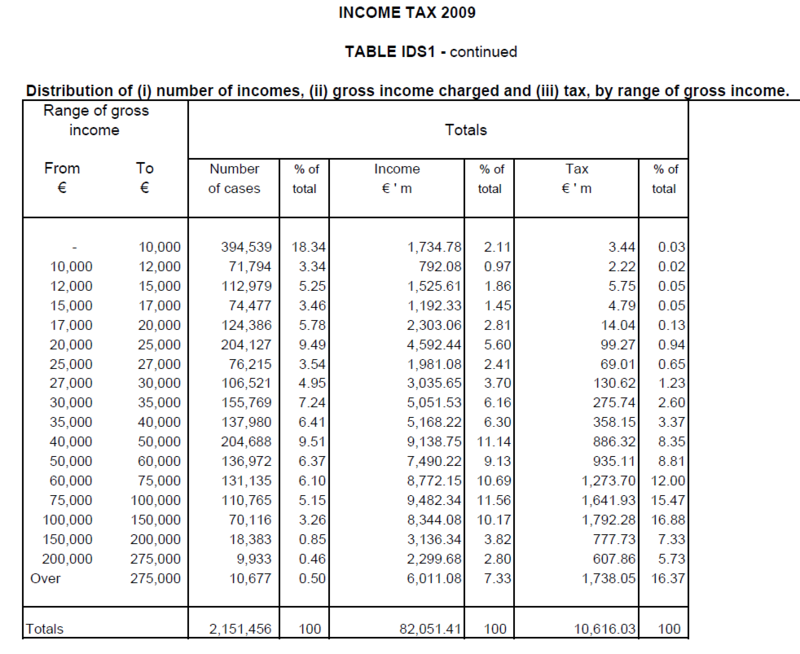 54% of the population earn under 30k – In total they pay 3.1% of the tax. 16% of the population earn over 60k – They pay 74% of the tax. I had heard this phrase being bandied around the web for ages – took me a while to grasp what they were taking about, but I saw this video just now which explains it quite well. Enough of all this recession bullshiiiiit – let’s concentrate on the FUN things coming up. It’s now (apparently) summer so tome to get out in a field with a tent and get messy with your mates to comer quality tunage. No better place t do it than Electric Picnic. I’ve been a good few times before and its always a fantastic weekend. The lineup does not exactly blow me away this year but I have been both Orbital and Basement Jazz before and they are usually great to watch. Really to me it would not matter who is on, you have so much fun just being down there regardless of going to gig’s – its worth going no mater what. Oxygen actually has a pretty good lineup but you would not catch me down there with the tent blazing pikeys! This is the queue last week on Stephens Green when the convenience store Londis advertised some jobs for some new stores opening this year, and had an open interview day. Applicants were forces to queue on the street outside which snaked all the way around to Grafton Street. It really is a throwback to the 1980’s – just check out the video below! There were 100 jobs advertised but they had over 100 applicants. People from all walks of life – much like when a few months ago, McDonald’s advertised a new store opening in Ennis and got 500 CV’s – many from Bankers and Accountants! Why are taxi’s such bad drivers? Taxi men in this country get a pretty bad rap. There is never a shortage of people complaining about them on the various radio stations, or on one of the many message boards in Ireland. Sometimes I think a bad reputation can hang around for an unfair amount of time, and I think they suffer from this because of years past. I vividly remember the countless hours I have spent trawling the streets of Dublin in the small hours of a Friday or Saturday night waiting for a taxi. Back then the numbers were small in comparison to today and getting one was next to impossible unless you walked far out of the city – or you were just lucky. Thankfully today it is different and there are many more taxi’s on the roads, so it is not so much of a problem. Actually the tides have turned now and it’s the drivers themselves that do the most amount of complaining about not being able to make a decent living. It’s called a free market and competition lads, deal with it. Anyway I could go on and reinforce many other people opinions about why they have a bad reputation, but I’m not – I’m just going to talk about the one that pisses me off most: their frankly appalling standard of driving. Now please let me state that I may be making sweeping statement here, but I am not trying to slander every single driver. There absolutely are some very good drivers out there, but unfortunately they are by far the minority. I do a fair bit of driving on the roads of Dublin in both and car and on a Motorbike, and it really amazes me how when I see some bad driving on the roads, a massively disproportionate amount of time it is a taxi driver. Honestly I am just amazed at how these people’s actual profession is Driving, yet they seem to be worse than most of the rest of the people on the roads – which really isn’t saying much to begin with. Taxi’s seem to think they have their own set of rules different from everyone else, and make no apologies for it. Even though they have the use of the bus lanes, which lets face it is more of a taxi lane than a bus lane, the majority choose to drive along straddling both lanes, so traffic in the inside lane cannot get past. GGGGRRRRRRRRRRR!!!! They think hazard lights are ‘stop anywhere lights’ and think nothing of blocking traffic behind to pick up a fair, instead of finding an appropriate place to pull in. Many times I have beeped them after sitting there for over a minute only to be ignored or waved at in percieved ignorance. Edging forward at a red light, going over the line and often breaking the light in advance of the green, only to travel at 15-20mph for 500 meters. Just wait until the light goes green and accelerate as normal for Gods sake! Not being courteous, not indicating, bad roundabout procedure…. the list goes on and on. I think there should be several people who’s job it is to ride in taxi’s and mark their driving ability. If they are not diring properly their permit should be suspended until they get lessons. About 9 months ago I watched a fascinating documentary on RTE1 called “Future Shock Property Crash” – a frank and honest report by an Irish Journalist called Richard Curran, about what he saw as being an impending properly crash – far worse than the “Soft Landing” that the banks were preaching. the cracks in the market were already starting to show, but he predicted that house prices would falling by up to 40% from their height in latest 2006 – and that it would happen very quickly. He also went into detail about the ramifications of this event. I remember the day i saw my first ever flatscreen TV. It was upstairs in the old electronics division of Brown Thomas, where they had all the best and most expensive (ripoff) new products. Anyway, if you so wanted to be an early adopter of this fantastic new technology, you could walk out of there with one under your arm, for just a penny less then IR£12,000! Twelve Grand! You’d have to me mad! That’s like a bazillion Euro in our new monies today! Like I said in previous posts,you’d have to be mad not to buy from the UK and take advantage of the great Sterling exchange rate!